Justice Élizabeth Corte and Denis Falardeau are the 2017 recipients of the Commission des services juridiques’ Robert-Sauvé Awards. The commission, which is the agency charged with applying the Act respecting legal aid and the provision of certain other legal services in Québec, hands out the honours to recognize the exceptional contribution of individuals to promoting the rights of the less fortunate. 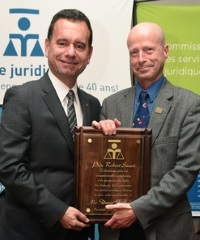 The prize was named after the founding chairman of legal aid in Québec, Robert Sauvé, who was commission chair from 1972 to 1977. Justice Corte began her career articling in criminal law at a Montreal legal aid office in 1973. In 1981, she joined the management team in the criminal law section of the Montreal legal aid office. She also became involved in the Association des avocats de la défense de Montréal and served as a two-term chair of its board of directors. 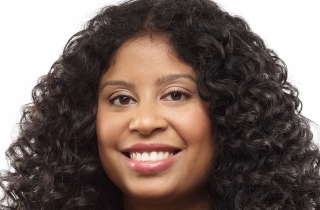 She was also on the board of the Société de criminologie du Québec for twelve years, in addition to being a founding member and vice-president of the International Criminal Defence Attorneys Association. Falardeau was named as the general public winner for his work with low-income consumers and community organizations. 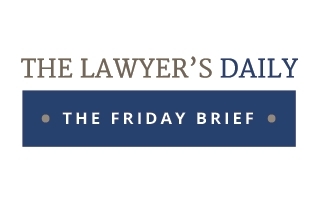 Turning to the study of law at age 30, Falardeau has consistently represented workers who suffered employment injuries, under legal aid mandates or on a pro bono basis. He has been involved in organizations such as the Réseau québécois de l'action communautaire autonome du Québec, the advisory committee of the Office de la protection du consommateur, the Association coopérative d'économie familiale de Québec, the Coalition solidarité Santé, and Vigilance OGM.